Braden Spawr is a 2019 C/RHP/SS with a 6-1 190 lb. frame from Saint Louis, MO who attends Valley Park HS. Big and strong athletic build, looks like a catcher. 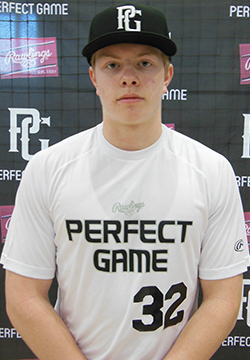 7.39 runner, receives the ball well and has good footwork behind the plate, gains ground well on his throws and is light and quick on his feet for his size, show leadership skills behind the plate, solid arm strength, 2.00 best pop time. Right handed hitter, swings with intent to drive the ball, kept his swing short and direct against velocity in games and showed gap power, good overall bat speed and ability to impact the ball. Very good student.